Sometimes called “the forgotten borough,” Staten Island is actually a place rich with culture, history, and stories. 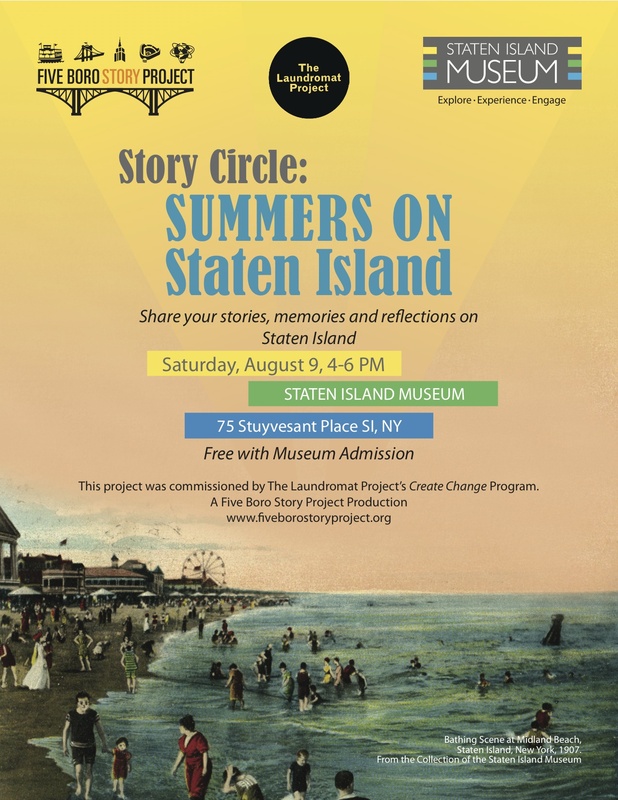 Through borough-centric performances and a community story circle, Summers on Staten Island will celebrate Staten Island and the many reasons to take pride in being a Staten Islander. This participatory event invites the audience to share their stories in an intimate museum environment. Enjoy true stories about Staten Island summers from Dolores Morris, Nanci Richards and Dedunu Suraweera, and poetry inspired by Staten Island from Eric Alter. Share your own stories, memories, and anecdotes in our Story Circle! 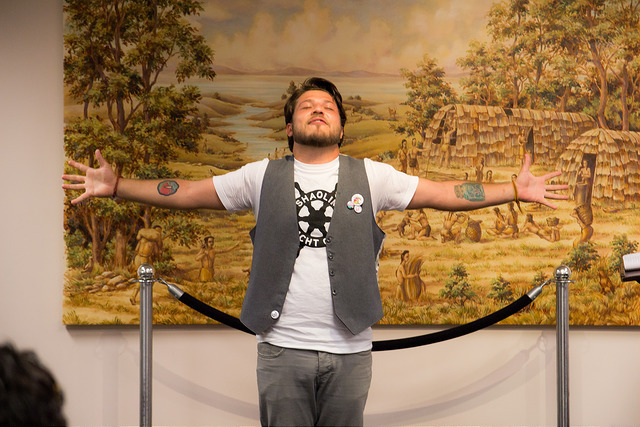 Summers on Staten Island is presented in conjunction with the Staten Island Museum as part of Second Saturday. This event is the third installment in the Neighborhood Portrait Series, commissioned by The Laundromat Project‘s Create Change Program. View “Summers on Staten Island” photos HERE.